Translations and rotations are direct isometries. If you read the names of the vertices in cyclic order (A-B-C and A'-B'-C'), both would be read in the counterclockwise (or clockwise) direction. 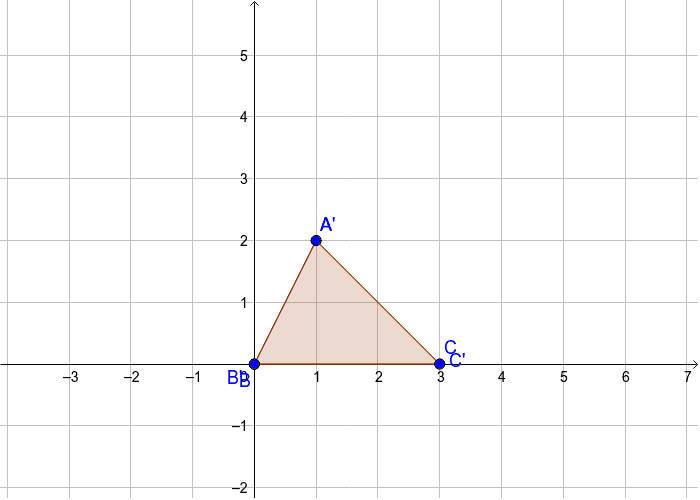 Click point B' on the triangle above. Drag it to the point (2, -1). Which translation below accurately describes the translation between Triangle ABC and Triangle A'B'C'?